Get to know Aderra in 57 seconds with our community tour uploaded to YouTube in HD. 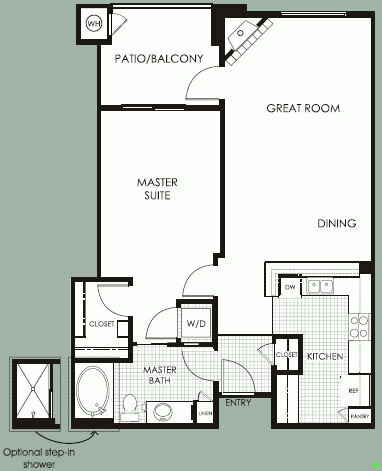 Indigo – 1 Bedroom, 1 Bath, 811 sq. 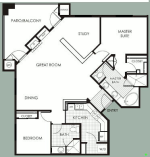 ft.
Jade – 2 Bedroom, 2 Bath, 1042 sq. 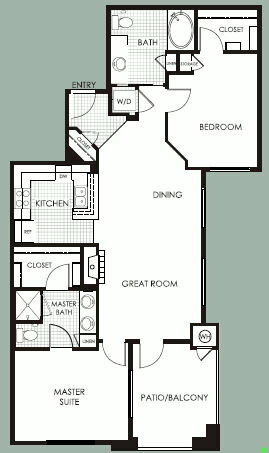 ft.
Sage – 2 Bedroom, 2 Bath, 1083 sq. 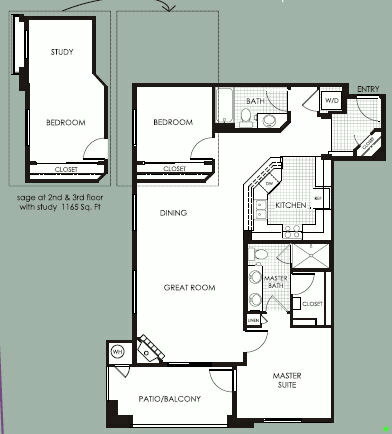 ft.
Azure – 2 Bedroom, 2 Bath, 1284 sq. ft. The Stone Creek Golf Club runs along the west border of Aderra. Stone Creek is a public course and greens fees are quite reasonable even during peak season. 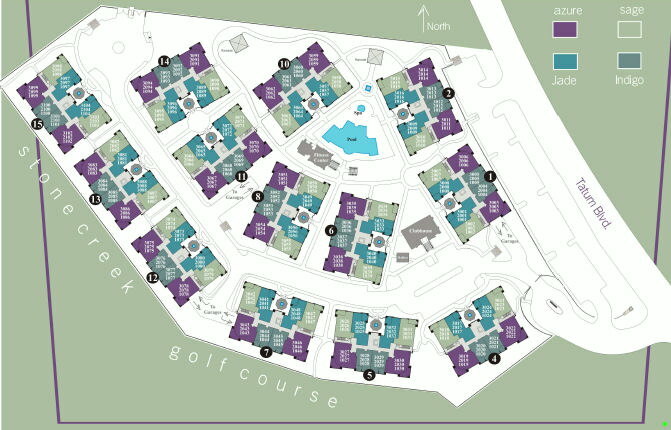 Condominiums on the far west side of Aderra enjoy some fabulous golf course and mountain views. Some other courses of interest within close proximity are the Orange Tree Golf Resort, Kierland Golf Club, Gainey Ranch Golf Club and McCormick Ranch Golf Club. This one’s a no brainer for those who like the idea of living in a resort-style community where everyday feels like you’re on vacation. The pool is reminiscent of something you would find at a hotel in Las Vegas. 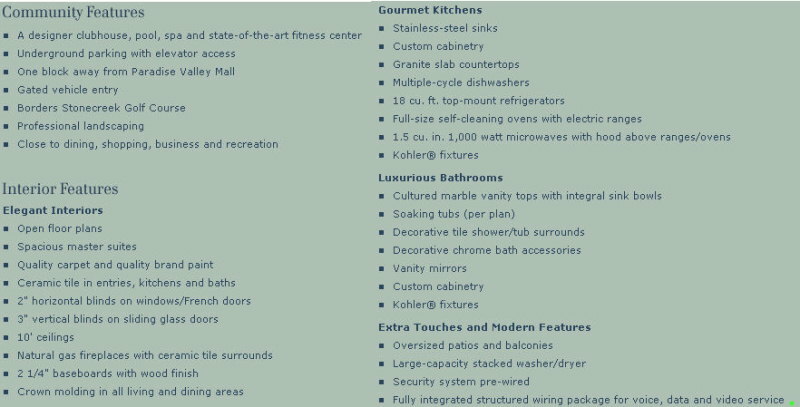 In addition, Aderra features amenities such as a fully equipped fitness room, clubhouse and a variety of community gas grills strategically placed throughout the property. 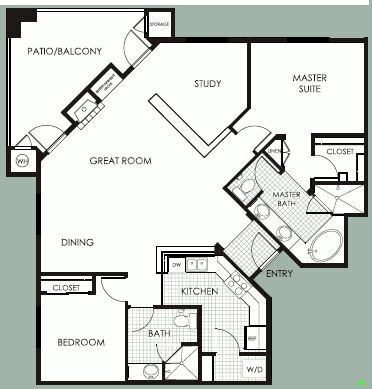 Unlike many condominium and townhome communities around the valley, Starpointe designed all single level floor plans with convenient elevator access in all buildings. No stairs to worry about here, and each unit comes with two parking spaces located under your associated building. We also love the oversized patios and that granite counter tops come standard in all kitchens. The location and proximity to shopping, restaurants and freeways is tough to beat. On the negative side, if you’re looking for a true attached garage, Aderra isn’t the answer, although underground parking sure beats carports. The condos located on the east side of the complex back up to Tatum Blvd which is a high traffic street. Surprisingly, the traffic noise inside those units really isn’t bad in our opinion. Just make sure to take that into account when writing a purchase offer and secure a nice discount as the unit may be more challenging to sell in the future.